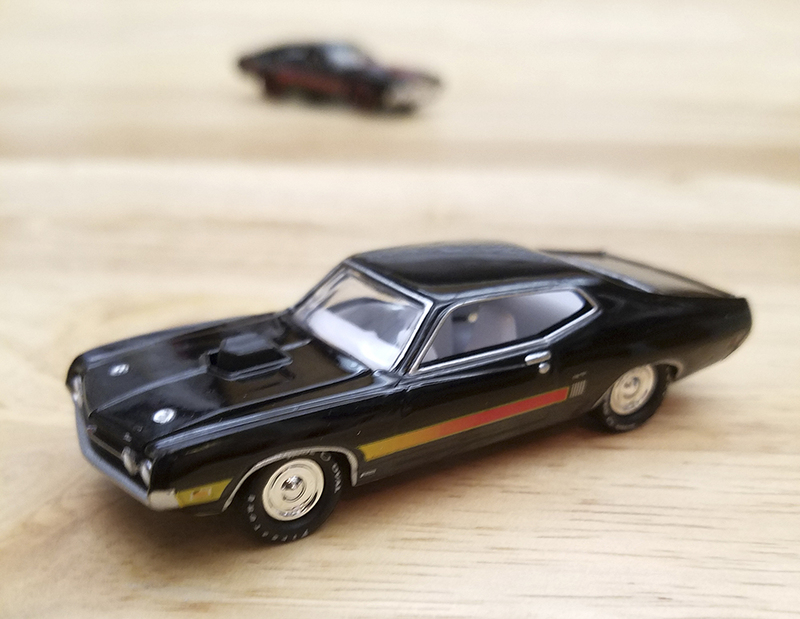 Ford’s mid-size muscle machine underwent many changes in just a few years — transforming from Fairlane to Torino with no fewer than 5 major body style revisions in 10 years. 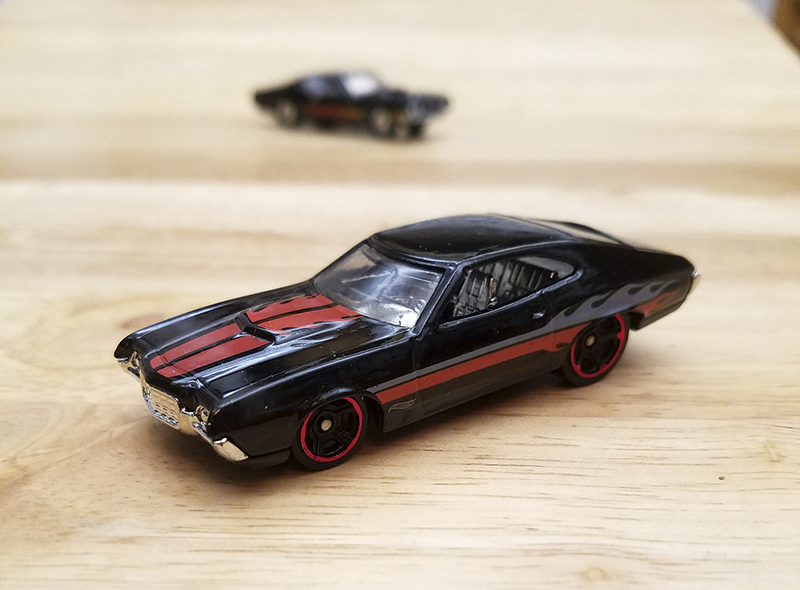 The final 2 are arguably the coolest, so we’ve pitted Johnny Lightning’s 1970 Torino GT Fastback against Hot Wheels flaming 1972 Gran Torino coupe. 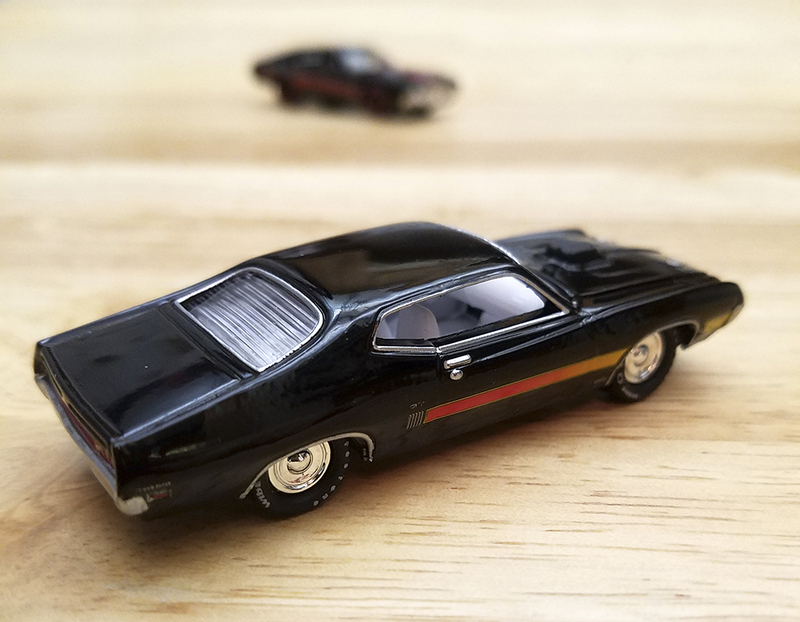 Both come bathed in black with orange trim stripes. You tell us which is better! 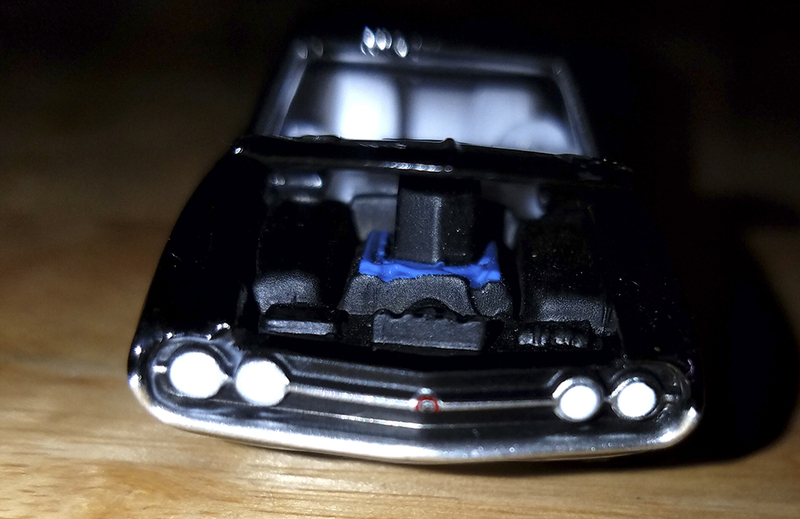 The Torino got the 429 bigblock for the first time in 1970, and JL’s version has an opening hood to see a Ford Blue version of it, complete with shaker scoop. 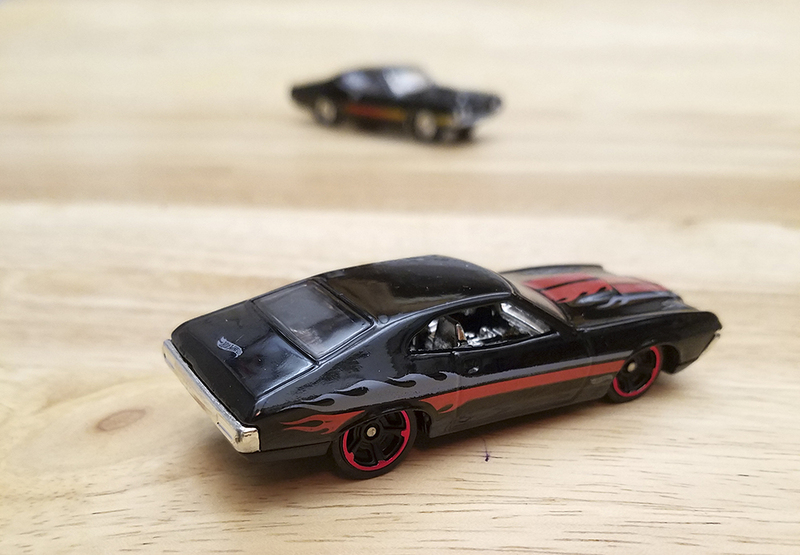 The aggressive rake of the ’72 Gran Torino is further emphasized by a set of oversize tires out back, and Hot Wheels’ signature swoosh adorns the trunk and fenders, along with some two-tone flames. Pick your favorite in the comments!